Planning to take a break this summer holidays and get far from the busy hectic schedule of life? Then go out for camping, to come close to nature and have an incredible experience.Gather some friends and family members, and get ready for a trip to Jaisalmer. Book your holidays with Kesari tours, and just get relaxed. They will perfectly plan out an exclusive tour for you that will enrich your heart with unforgettable memories. 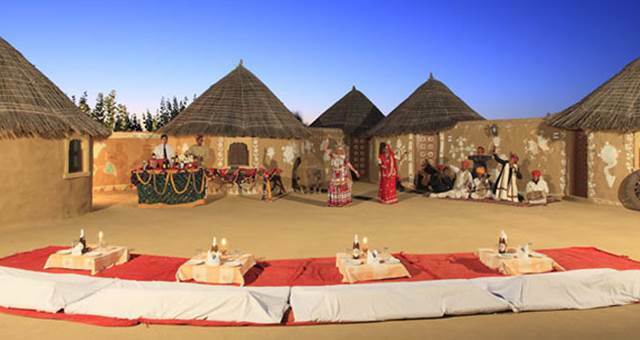 For a perfect blend of fun, enjoyment, adventure, and scenic views, it’s always not necessary to choose a luxurious gateway.Make your trip thrilling with the Jaisalmer desert camps. Who doesn’t love to spend a wonderful night under the blue sky and soak up in the beauty of nature? Well Jaisalmer, the colorful city of Rajasthan offers an awesome choice of camps.So you can choose according to your budget and enjoy a blissful stay.Some of the best camps around Jaisalmer imbibes the Serai, Rajasthan desert safari camp, Rajputana desert camp and lot more. 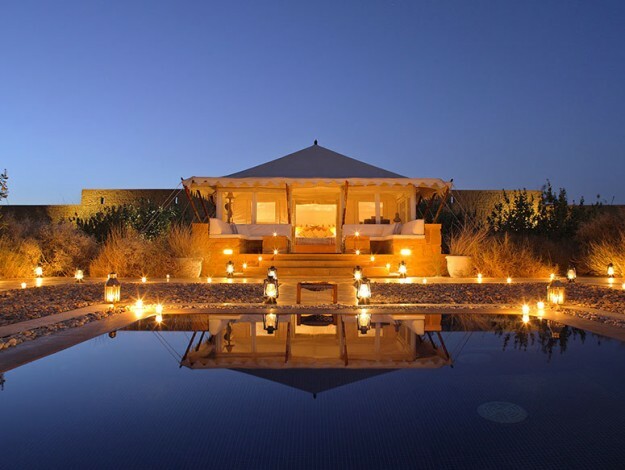 For a luxurious night out stay choose the stunning camp of Serai, Jaisalmer which engulfs an area of 100 acres.You can experience the romance and splendor in the wild beauty of the desert. To explore the pristine beauty of the desert you can go for a jeep tour, followed by a camel ride. Wander into the ravishing environs of Jaisalmer, take a glance at the legendary brilliant post, the famous Unesco World Heritage Site. Take the pleasure of all the facilities in this camp and also indulge in some thrilling activities.Book your trip to Jaisalmer with Kesari tours and pitch a tent in the Serai Jaisalmer camp once you reach there. 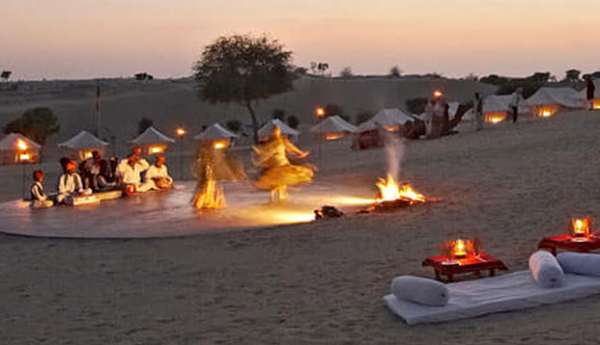 Get simply bewildered staying in the Rajasthan Desert Safari Camp nestled on the beautiful Thar Desert in Sam Sand Dunes. Appreciate the surrounding natural beauty and enjoy a luxurious stay in the camp with all the modern amenities.If you seek some solitude, then this serves the ideal place for you. Get a glance of the beautiful Rajasthani dance performances, and then go for a camel ride. If you are searching for an extravagant desert stay, then head over to this place.Enjoy the wonderful night with the folk music and dance along with a light bonfire adventures. If you are dreaming of some adventurous camping with bonfires, amidst with some scenic beauties then it’s time to book a tour to Jaisalmer Rajasthan with Kesari tours and cherish the lively moments.